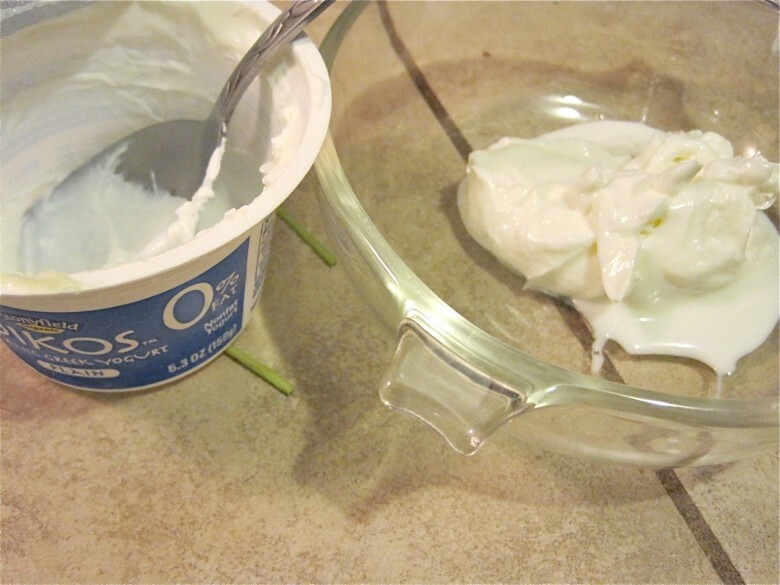 Marinating meats in Greek yogurt is a lickity-split way of tenderizing. This marinade consists of a few spoonfuls of yogurt, a couple spoons of grained Dijon mustard and the juice from 1/2 a lemon. 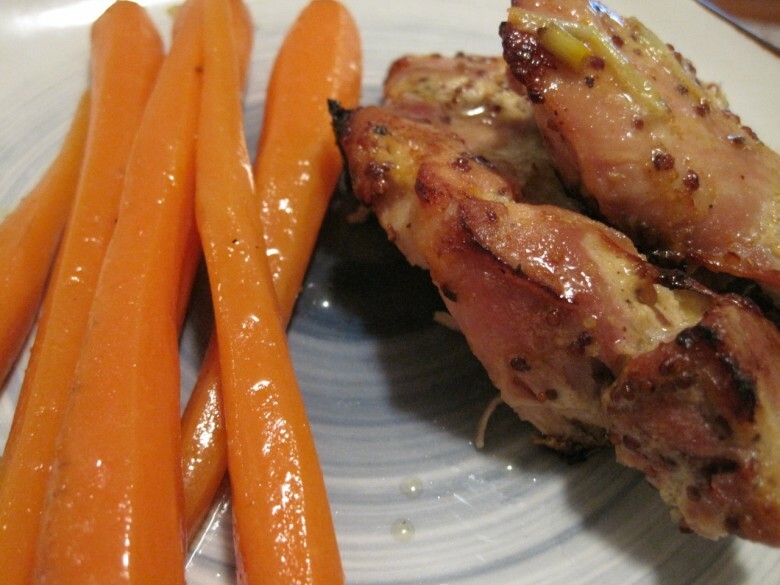 Mix well, toss a few pieces of chicken in the mixture and set aside for about 15 minutes. Preheat the oven to 425 degrees and spread a little Ghee on the bottom of a baking dish (but you can also use oil if you don’t have Ghee). Cook the chicken for about 25-30 minutes depending on the thickness and amount of chicken you use, flipping the chicken over about halfway through. While the chicken is in the oven it’s time to start with the carrots. Place a medium sized saucepan (large enough to fit your carrots lying down) on the stove with a couple cups of water in it, bring to a boil. 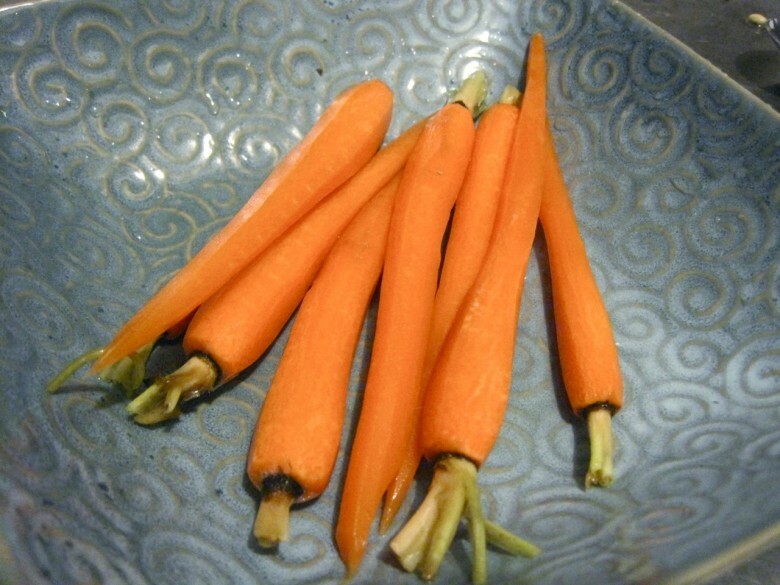 While the water is heating, wash and peel the carrots and then drop into the water for about 10 minutes, more or less, until they get soft enough to easily insert a fork. Strain the carrots. In the same pot, melt a few tablespoons of butter over medium heat. Add a pinch of whole cumin seeds and toss in the butter until they begin to crack. Place the carrots back in the pot, turn off the heat and toss gently until the carrots are coated with butter. 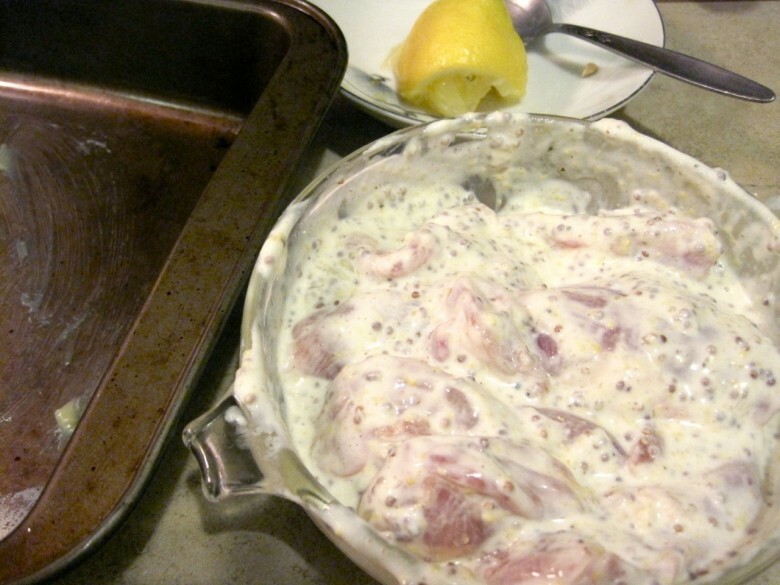 Squeeze fresh lemon over the chicken.. and serve as shown. 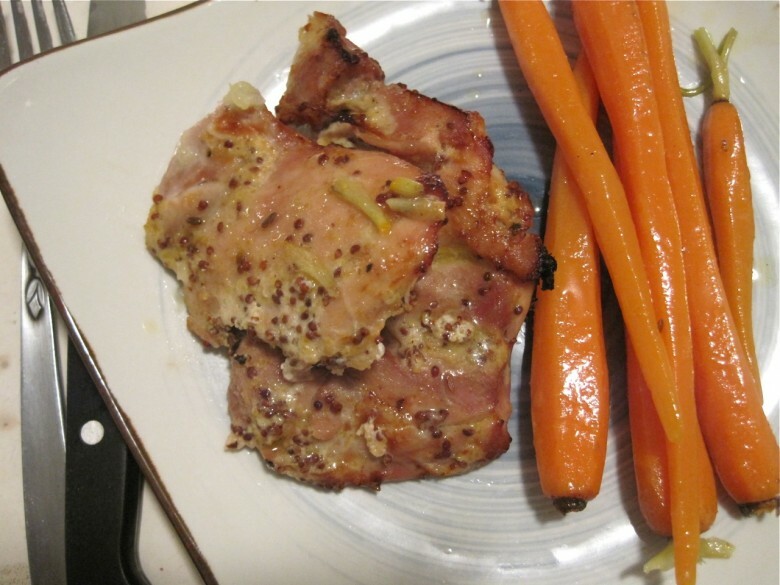 April 30, 2011 | Filed under dinner, gluten free and tagged with carrots, chicken, dinner, gluten free, greek yogurt, marinade.